© Tamar Auber. All rights reserved. 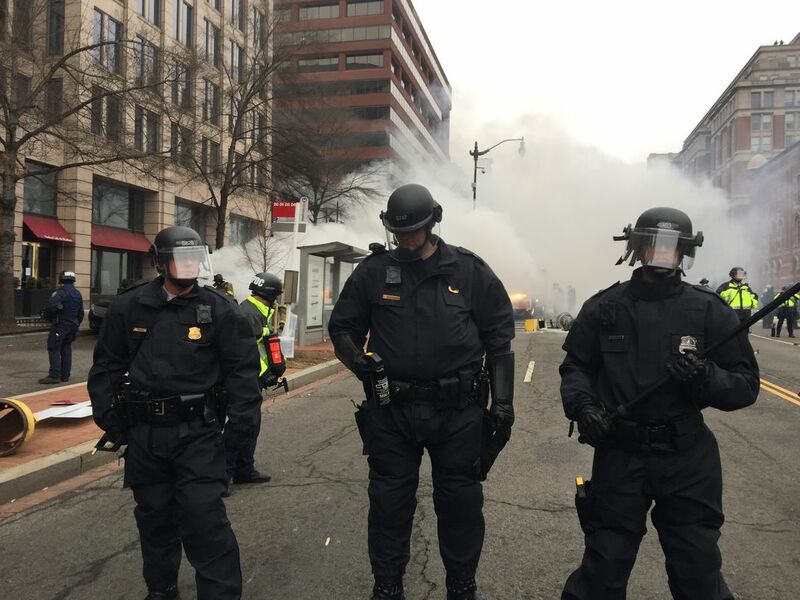 Police grab for pepper spray as they face off with protesters in Washington DC on Inauguration Day 2017. Date Uploaded: Nov. 11, 2017, 12:46 p.m.